Cook Pasta according to the instructions given in the packet. In a separate sauce pan, boil milk and melt cheese adding it to the boiling milk. Add cooked pasta when the cheese is fully melt along with cooked vegetables. Add the pasta sauce to it and mix every thing well. Serve it hot. I made this as evening snack for my kids. They both had it after coming back from school. Even though I am not a very big fan of pasta, I kinda liked this because of the basil flavor. 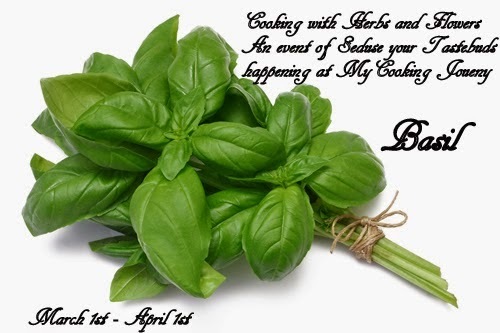 "Sending this recipe to 'Cooking with Herbs and Flowers' hosted by Sandhya of My Cooking Journey. Pasta looks too good and tasty !! Looks really good and awesome!! Hard to resist to this droolworthy pasta.